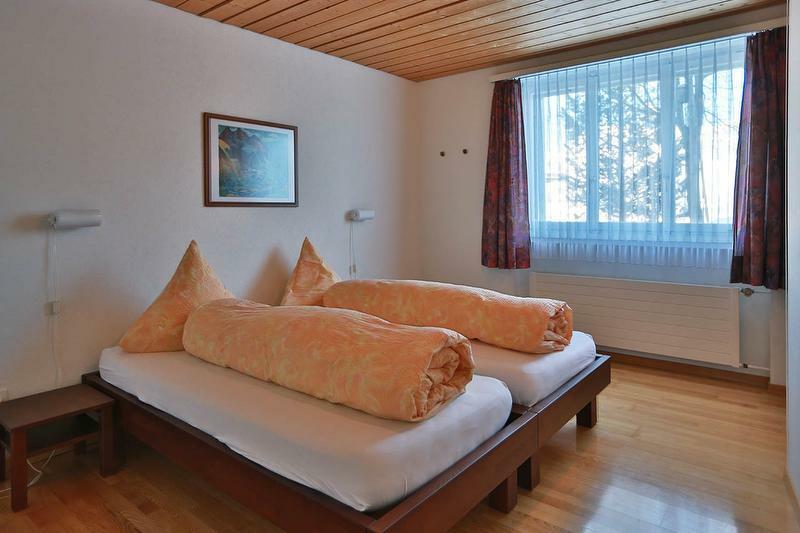 The bright apartment is cozy and comfortable furnished. The living room and bedroom are fitted with a wooden floor. From the living room you have access to the furnished conservatory. The apartment has a TV with DVD player and a radio. 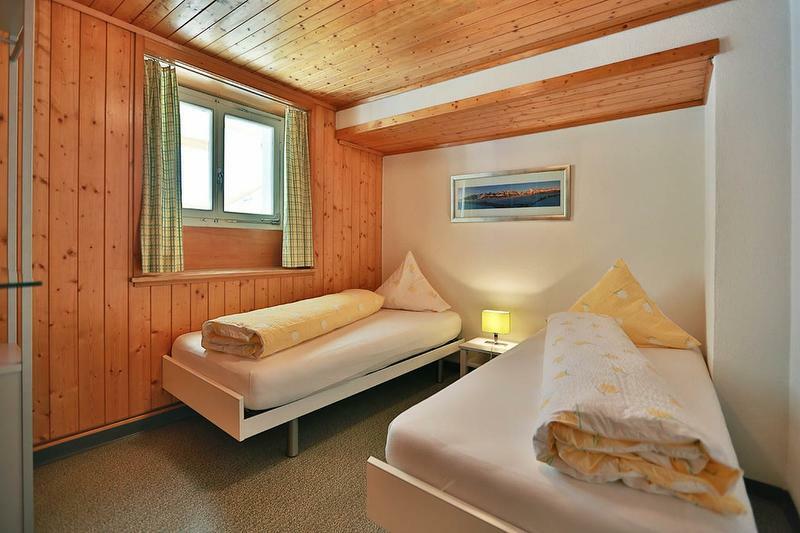 The 3.5 room apartment is in the center of Flumserberg Tannenbodenalp, right next to the postbus stop and near the ski lift and grocery shop. The apartment has a free parking space. Fully equipped kitchen with stove, oven, refrigerator, dishwasher, coffee machine, water heater, cooking island, radio and dining table with chairs. The bright apartment is cozy and comfortably furnished. The living room and bedroom are fitted with a wooden floor. 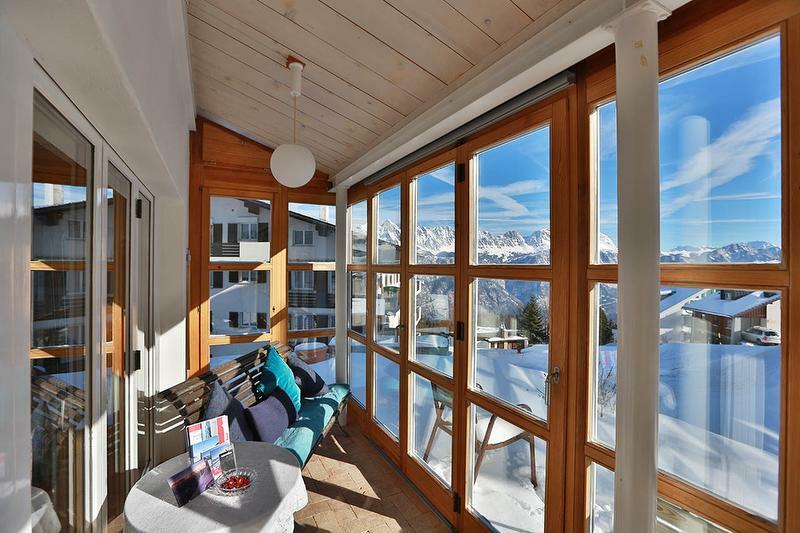 From the living room you have access to the furnished conservatory. The apartment has a TV, radio and DVD player.